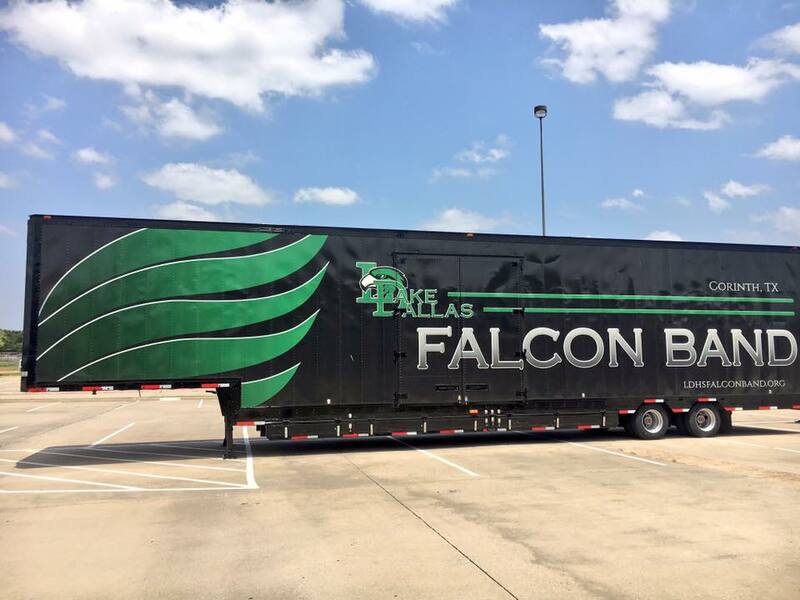 Project #028 found its home with the wonderful folks at Lake Dallas High School Falcon Band! 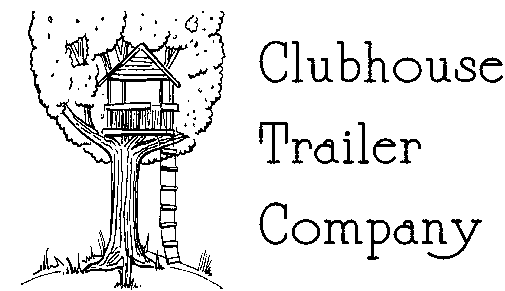 This trailer was outfitted with many of our standard features, as seen below. 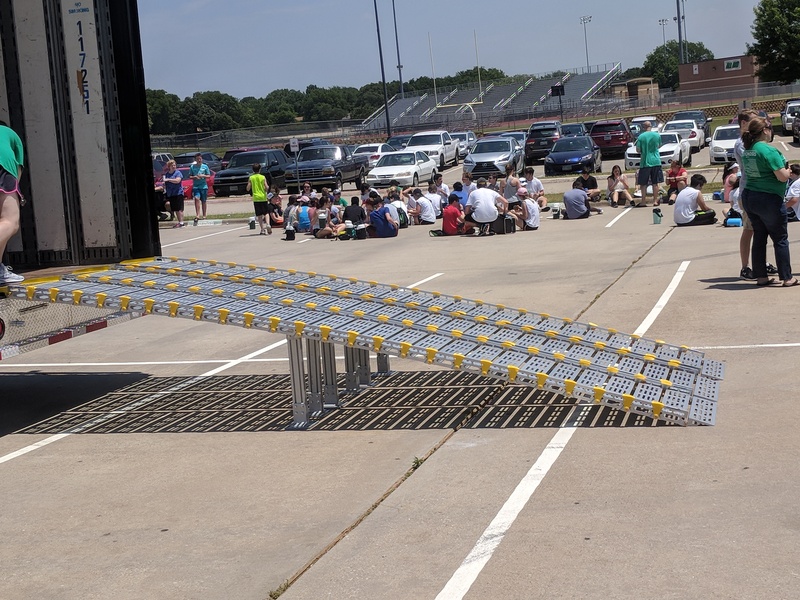 The Director’s Perch is a perfect place to rally the band before or after a great performance! 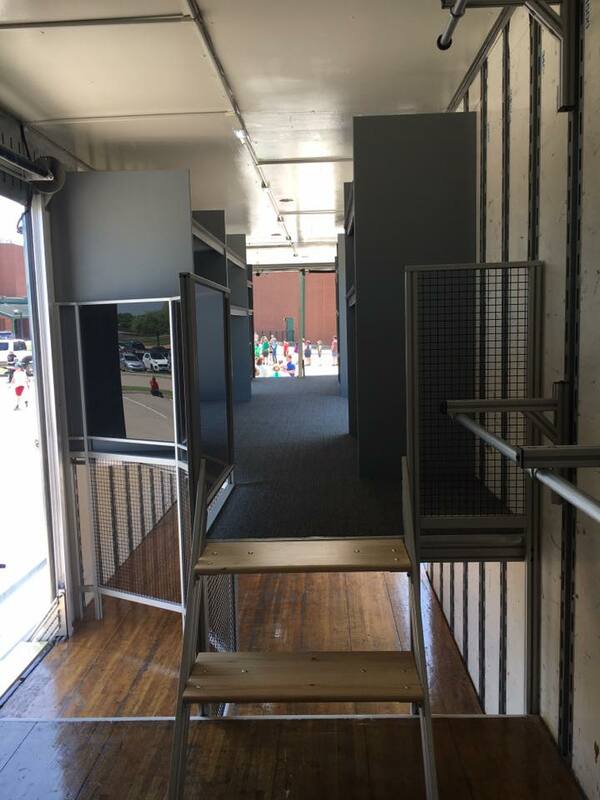 The fences on the sides fold down flat and the perch folds up into the doorway for transit and takes up very little floorspace! 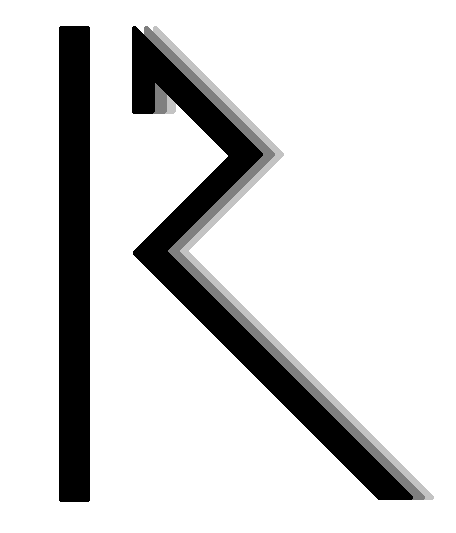 A tool-less design means it’s super simple to deploy and retract! 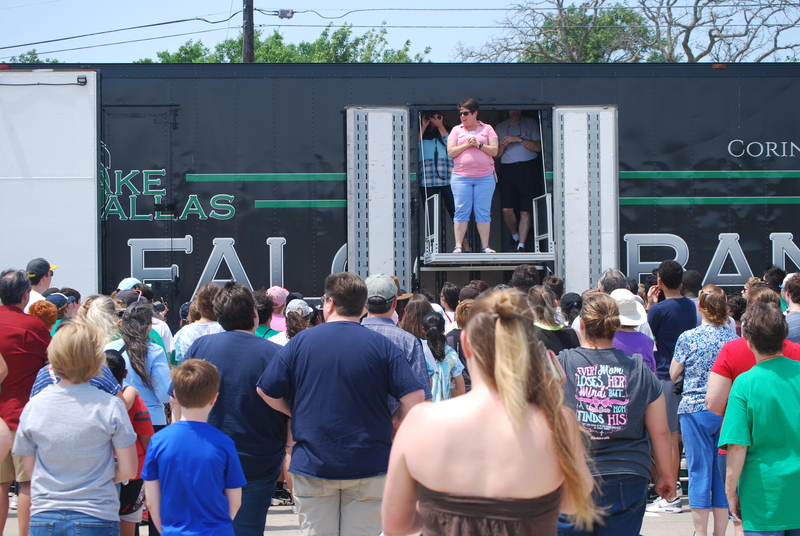 Looking from the front of the trailer towards the back. Uniform Storage all along the front of the trailer provides space for 250 Uniforms. Two stairs to the upper deck for larger wind and drum line storage in the custom-designed storage shelves. All LED Lighting keeps the inside and outside of the trailer safely lit for an entire contest weekend. 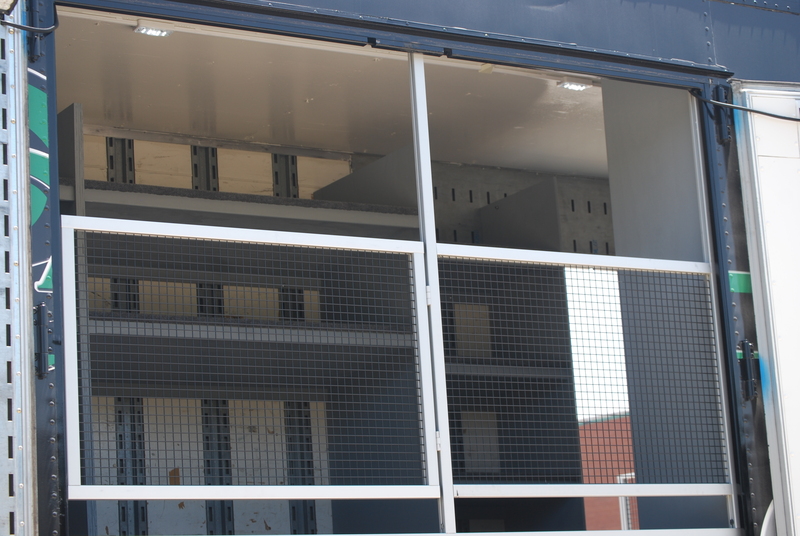 Two 8 foot long drawers provide ample storage for all color guard equipment. A 2nd Floor gate on the street side (Driver’s Side) allows easy loading of large items such as sousaphones and bass drums, but maintains safety across the doorway. 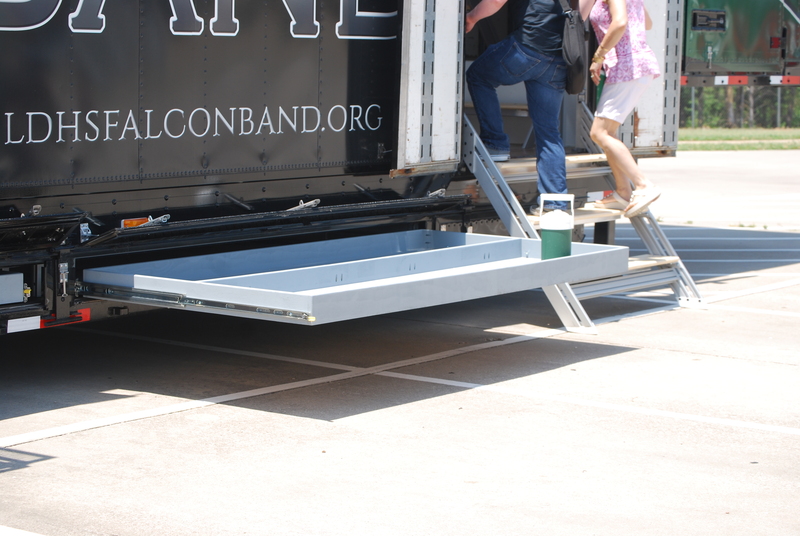 These aluminum ramps are three lightweight sections that easily fit in the bellyboxes, or can be rolled up to store inside the trailer. The mid-point supports help keep rigidity in the ramps, and can be adjusted for any landing height. 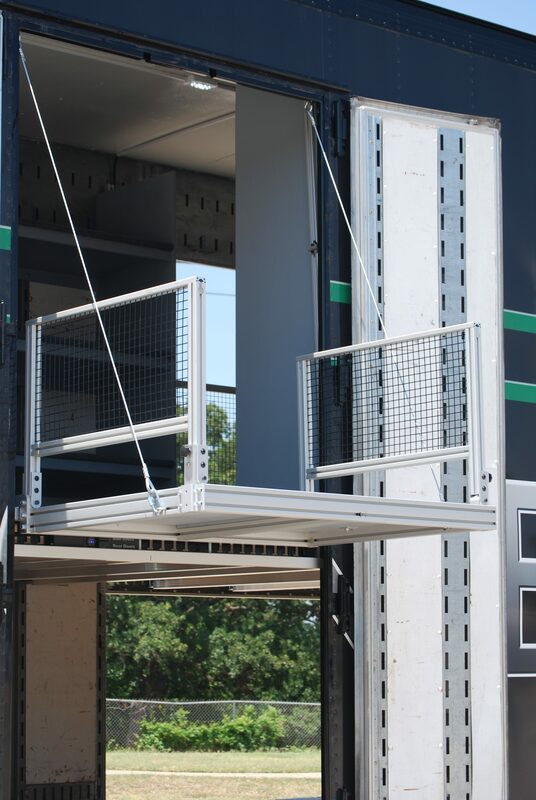 These ramps are a fantastic and cost-efficient alternative to our full-width Hydraulic Ramps! 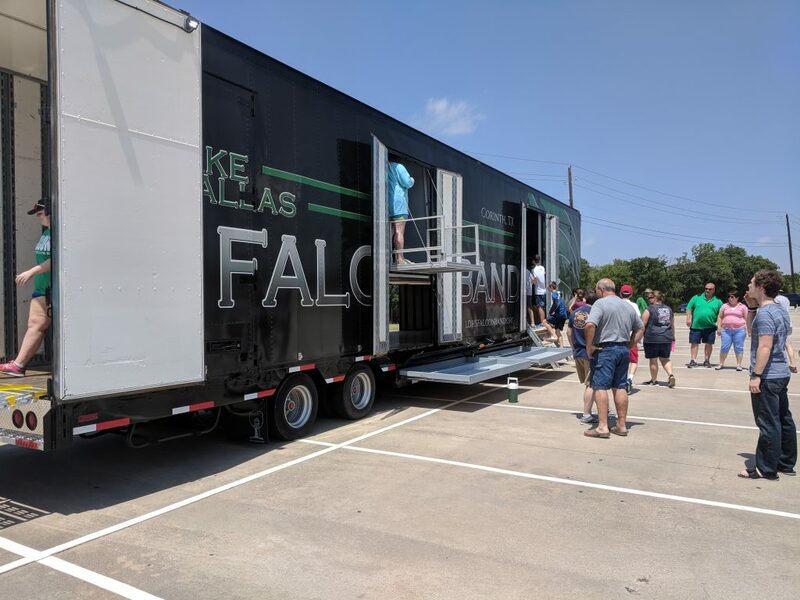 Checkout this walkthrough Video shot by the Lake Dallas Falcon Band Boosters!